Anchor Homes are leaders in designing, building and delivering transportable modular homes. For more than 25 years, Anchor Homes have been providing high-quality, cutting-edge, sustainable and innovative building solutions to Australian families. Buxton House by Anchor Homes Can You Guess What Sets This Home Apart from the Rest? 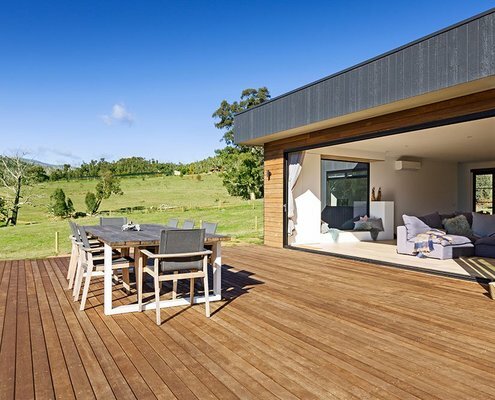 Opening onto a huge deck, with incredible views from every room, you'll never guess what makes this country home so unique.